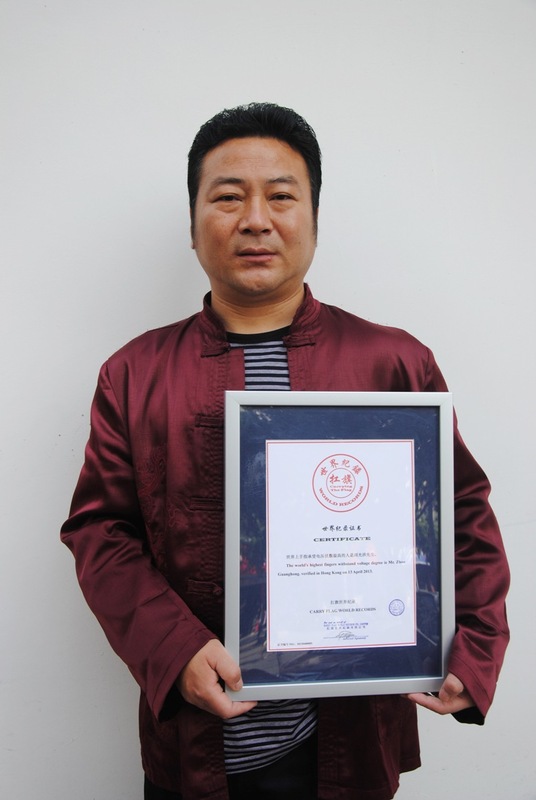 World Record Title: Finger withstand voltage of the world's highest Number of volts are Mr. Zhou Guanghong . World Record Rules: the world's highest Number of fingers withstand voltage volts person. World Record Details: The world's highest fingers withstand voltage degree is Mr. Zhou Guanghong. verified in Hong Kong on 13 April 2013.